Brent's next performance will be next THURSDAY! Featuring special guests: Daniel St. Clair on drums and Kyle Jeffcoat on violin. WHY: Because I'll be performing with special guests, Daniel St. Clair and Kyle Jeffcoat, of course! This guy is an incredible singer and guitarist; I've seen him perform a couple of times and I definitely recommend sticking around for his performance. 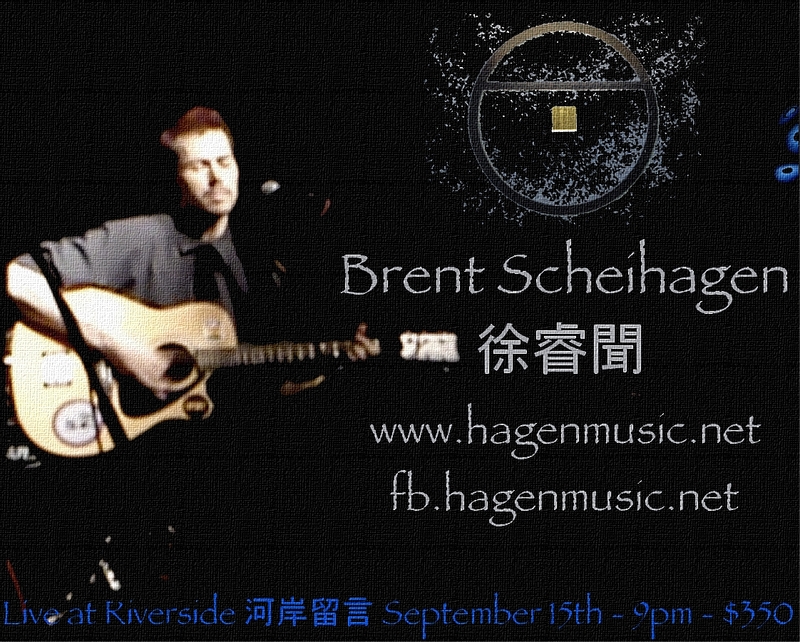 Dear friends, I wanted to say thanks once again to everyone who came out to see me play last Saturday at Luguo Cafe. I was especially happy to hold this performance in honor of my good friend Kaiwei (seen at right) who sang two songs with me; "More than I can say" written by my brother Kyle and "Fortunate Child" written by myself with help from Kaiwei. "Fortunate Child" is the first song that I helped to create including Chinese lyrics. "Fortunate Child' - performed here for the first time - was written for Alan. Two and a half years ago, I visited Kaiwei's friends, Joseph and Regina (their English names), in Hualien; they housed us, fed us and showed us around. Regina was about 8 months pregnant with Alan at the time, so we wrote the song as a thank you. I also want to express my sincere gratitude to everyone who donated money on my behalf in order to help me to continue with my musical endeavors. I began my studies at Ming Chuan University this week and as a student am not allowed to work, so the money that was donated will help to pay for rehearsal time, instrument repairs and - eventually - my first CD. But, to remember that my goal in making music is not simply about being successful, becoming famous or making money, I donated a portion of that money to another worthy cause. I make music because I love it and because I have something to share with the world. It's also my goal to use my abilities and this music to make the world better if only in a small way. New Video: "Tap Out" - Live in Taipei!